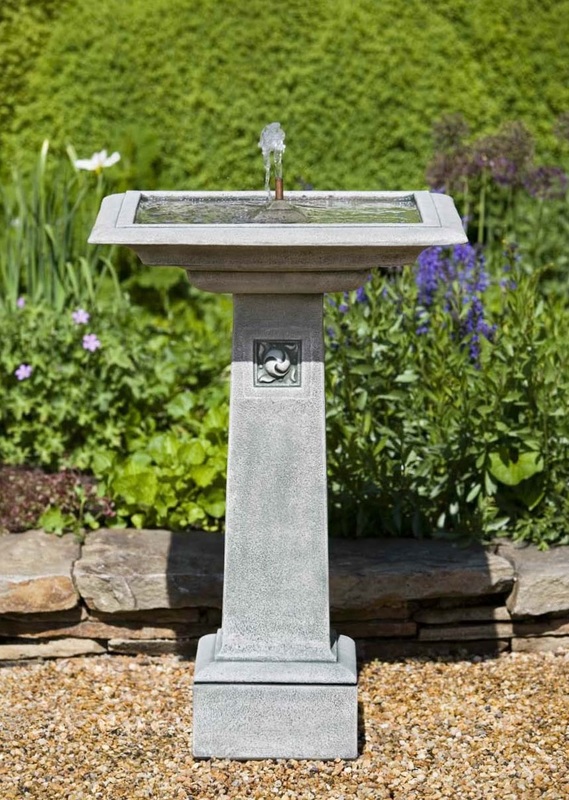 The Hampstead Fountain is an elegant and stately water feature, ideal for placement anywhere in the garden. Water constantly bubbles up in the center of the square basin creating a soothing, inviting atmosphere. L 24.25" W 24.25" H 36.75" | 201 lbs.